Bentley marks 100 years with a book weighing 66 pounds | Car News, Reviews, & Pricing for New & Used Cars. 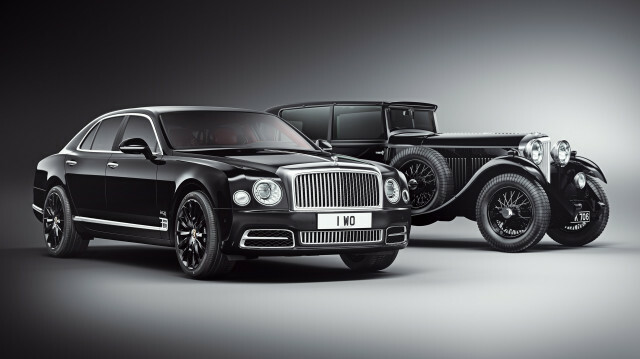 Next year marks Bentley’s 100th year of operation and the brand revealed its first celebration plan. To mark the milestone date, Bentley will release a limited edition book covering a century of operations and the brand’s future. As we learned in July, it will also build a special Mulsanne as a hommage to brand founder Walter Owen (W.O.) Bentley. But the book is probably something you won’t need a Bentley-sized income to afford, though we doubt it will be cheap. Bentley was keen to point out the book, called “Bentley Centenary Opus,” isn’t just a history book. The book’s publisher, Opus, was given exclusive access to Bentley’s designers, engineers and executives. A portion of the book will look at how the British luxury brand plans define the premium automotive space over the next 100 years. Fans and owners who are interested in the history will find plenty, though. The book details Bentley’s 1920s Le Mans victories and iconic models of the 20th century, and it also highlights the individuals who helped bring the company and its cars to life. How much content will be included? The book weighs just over 66 pounds, and pages will measure over 1.5 feet long to ensure the included images are portrayed with the finest detail. Some sections of the book will feature special fold-out sections with photos stretching 6.5 feet long. Bentley nor the publisher provided pricing for the book, but it will arrive in three editions; Mulliner and Centenary editions will feature the largest print format while a Crewe edition will be printed in a more compact size. The milestone books will arrive in 2019 and those looking to reserve a copy will have to contact Opus Publishing. And if Bentley isn’t your brand of choice, perhaps you’ll be interested in the $29,000 book dedicated to Ferrari.